Today I farewelled Jamie and Donna, Bill and Kylie, David, Madhur and Thomasina, and a whole bunch of ‘old friends’ to make room for my delicious year. That’s right. 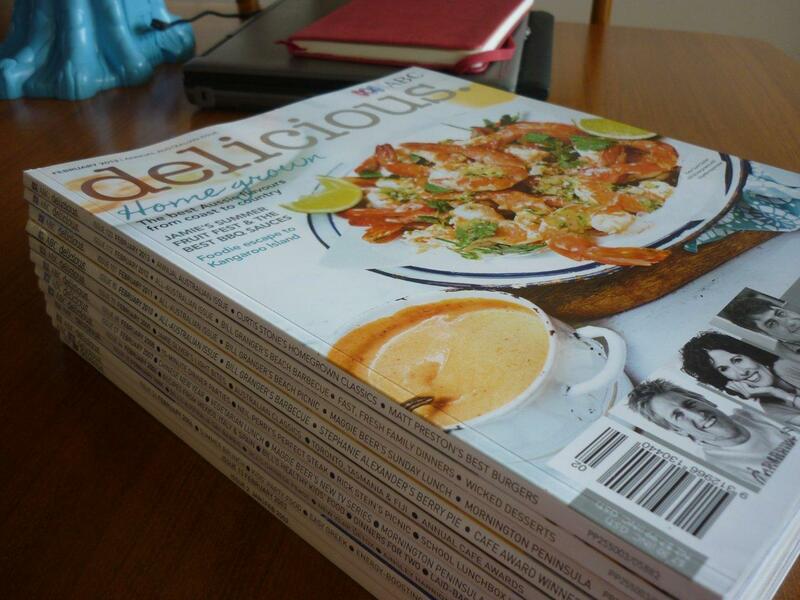 I’ve packed up my rather large recipe book collection to make room for the 123 issues of delicious. magazine that have been lying low in my garage for the past 11 years. I must attempt one recipe a day. I’m a realist – I won’t be cooking three course brekky’s when my kids are very happy eating cereal and toast. But if I spy a yummy brekky recipe, it shall be cooked, and you shall hear all about it. As new issues arrive, they too shall be cooked from. In order to keep it seasonal and relevant, I will be collating my magazine collection by month and cook from all the February’s in February, March’s in March and so on. Given that most of the issues include a December/ January combined issue I will feature the Christmas-type recipes in December and save the rest for January. Now there is something to look forward to. Now to keep things interesting, I will include a food rating from the most feared food critic in Australia. No, not Matt Preston, but my dear husband, Mr Picky Pallete (MPP). From time to time I will also include an out-of-the-mouth-of-babes score from my two darling sons to be known as B2 and B4. As most parents know, kids are hard to please. And its even harder to get kids to try new things. I hope that along the way I might inspire you to try out a recipe or two or dust off your old recipe collection that has been sitting idle for a decade or more. If nothing else, I hope I either make you drool while you are reading this or have you banging at my door (or filling up my inbox) with demands for dinner invitations. Stayed tuned for recipe number one – an encounter with a foodie crush of mine, Rick Stein. We all know what that means…seafood!!! Who is your favourite chef – celebrity or other? What is the one cookbook that has been sitting on your shelf gathering dust that that you might try to cook from this week? 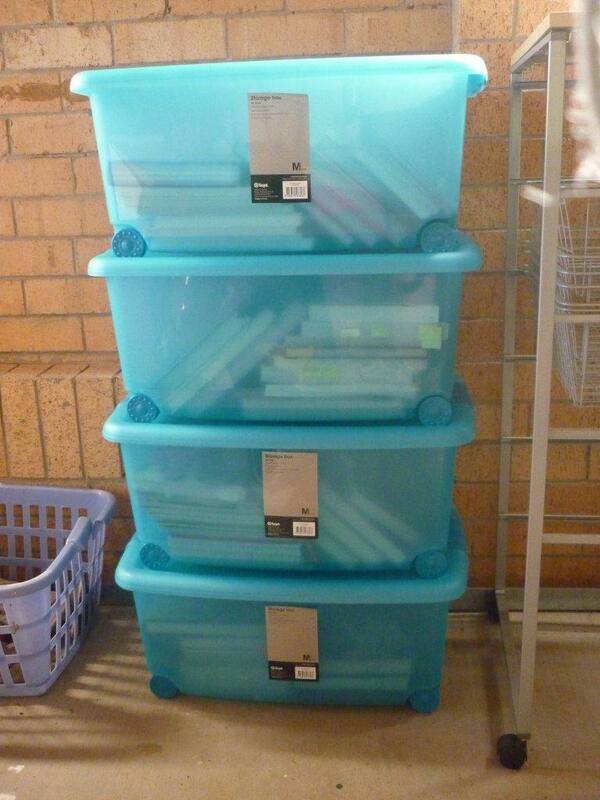 Four 46L containers now securely hold my significant cookbook collection. See you in 12 months!